For every Chinese New Year reunion, be it with family or friends, we always start with yee sang. The traditional dish is often served with crispy dumpling strips, shredded vegetables, pomelo and salmon sashimi. 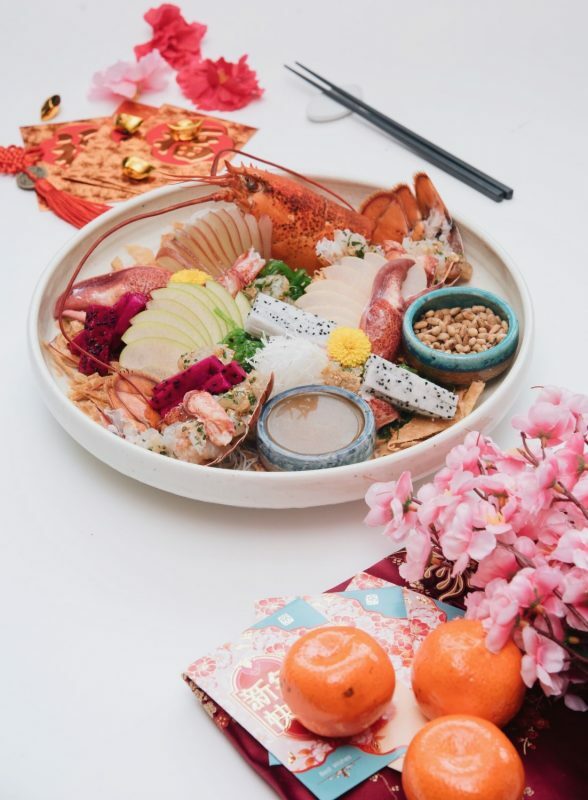 For this coming Lunar New Year, put the conventional ingredients aside and choose from the more modern and experimental options such as yee sang with macadamia nuts and American strawberries, as well as red wine and kimchi. 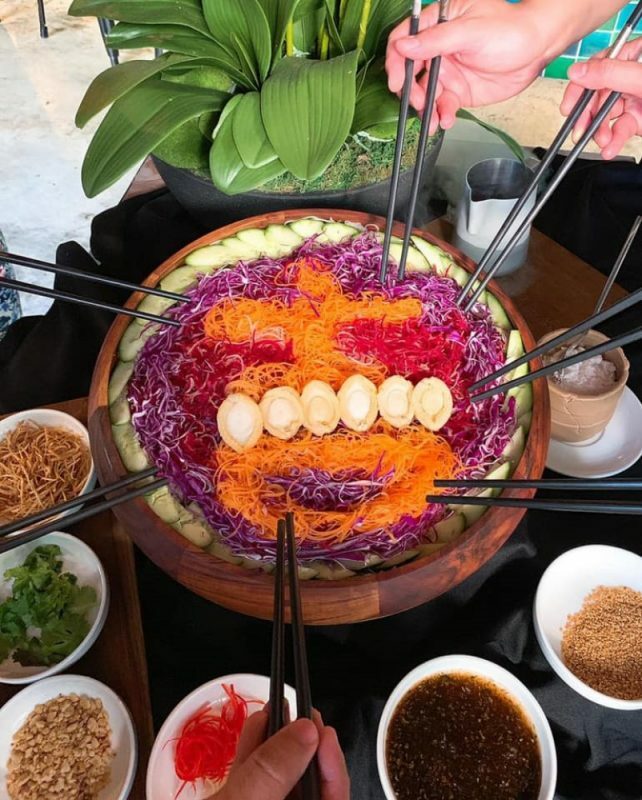 For the Year of The Pig, ATAS by The RuMa Hotel and Residences offers a crispy version of the yee sang. Led by executive chef Tyson Gee, The RuMa reinterprets classical Malaysian dishes by giving them a unique twist. Their rendition of the yee sang contains everything you’ve come to love from the traditional dish, but is enhanced with pucuk paku, betel leaf, fried chicken skin and sweet tamarind plum dressing. The yee sang is available until 19 February 2019, at the starting price of RM128. Try the fresh salmon yee sang by Fook if you are into Thai cuisine. 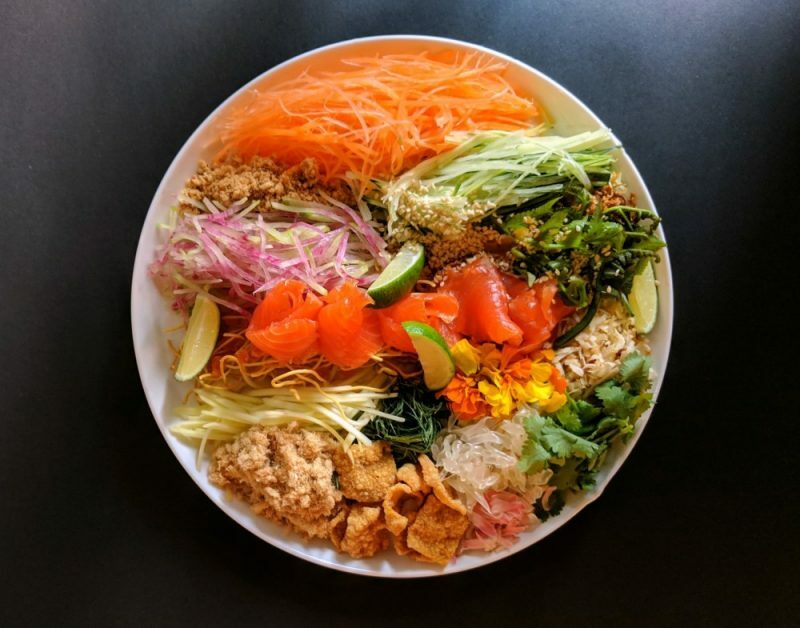 Expect a touch of Thai influences; the yee sang is served with papaya, pomelo, fried flour strips and salmon sashimi for a special combination that’s crunchy, juicy and mellow. Available until 20 February 2019, the fresh salmon yee sang’s prices are RM88++ for medium size and RM118++ for large size. 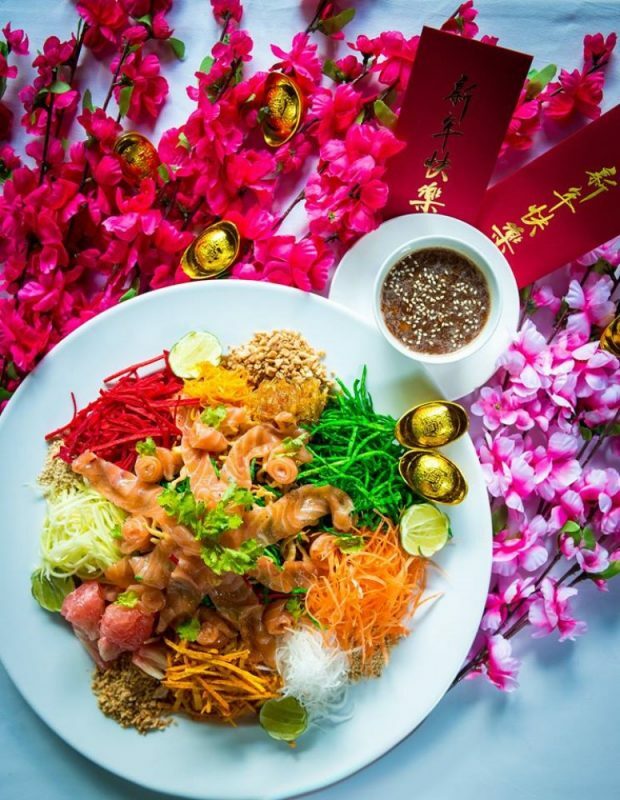 Whether you are looking for yee sang containing luxurious seafood or healthy ingredients, Hilton Kuala Lumpur will not disappoint. Bringing reunion dining up a notch, Hilton Kuala Lumpur offers a variety of yee sang with seafood ingredients such as smoky grilled squid tentacles, traditional Norwegian salmon, salted egg soft shell crab and crispy fish skin or Australian three head abalone. 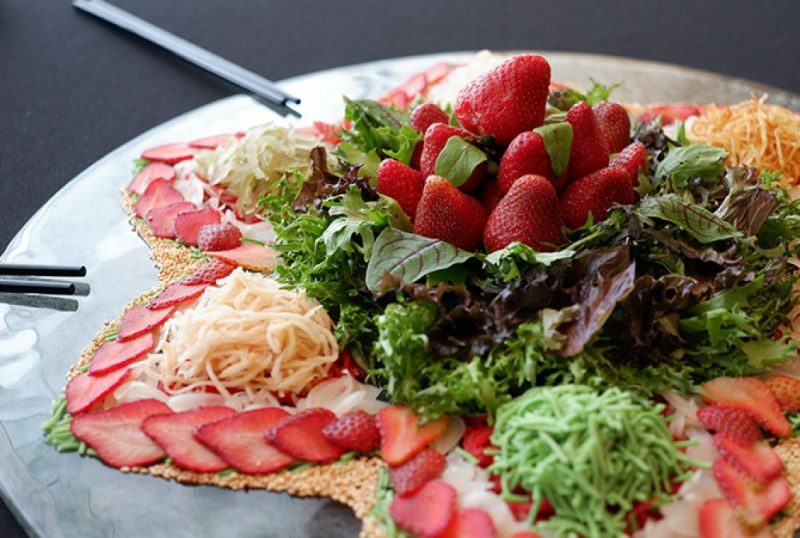 If you’re on a diet, opt for the yee sang with macadamia nuts and American strawberries. Starting from RM128, they are available until 24 February 2019. Beta KL introduces the Abalone Yee Sang and it is anything but unoriginal. Beta KL is known for its expertise in creating fusion dishes; this year, we see a creative take on the CNY dish dusted with pomelo snow, an icing sugar-like condiment that unleashes a cool and rich pomelo taste upon consumption. It’s also served with peanuts, crispy popiah skin, and sesame and plum sauce. Available until the end of February, the Abalone Yee Sang is priced at RM88 for 2 pax and RM238 for 6 pax. Mixing the influences of Japan and Peru, Nobu Kuala Lumpur presents the HARHARHAR Prosperity Platter. It comes with two choices: the salmon and whitefish sashimi, and the lobster. Curated in Nobu style, the Japanese-style yee sang comes with icama, carrots, beetroot, dragon fruit, rose apple and seaweed salad. You can top off your reunion meal with steamed plaice and iwashi dashi, before wrapping up with the God of Wealth dessert, a white chocolate mousse served with pineapple yuzu curd. Available until 25 February 2019, the salmon and whitefish sashimi platter is priced at RM188++ for 2 pax. Meanwhile, the lobster platter is priced at RM288++ for 2 pax. 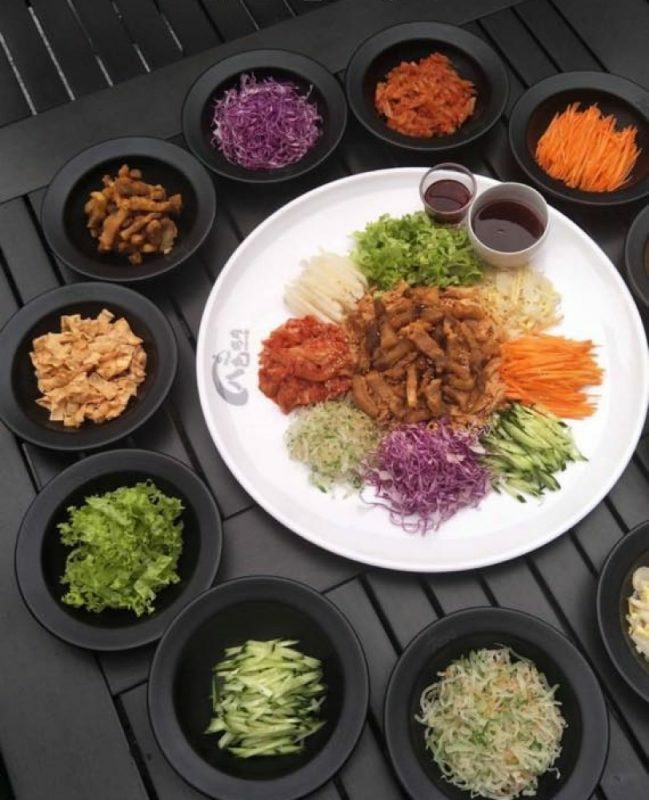 Palsaik Korean BBQ is set to transport you to Korea with their Red Wine Kimchi Yee Sang. Served with red wine sauce, the tantalising yee sang comes with kimchi, Asian pear, lettuce, pickled ginger and chives, carrot strips, cucumber strips, purple cabbage, pickled papaya strips and fried pork belly. Starting from RM68, the Red Wine Kimchi Yee Sang is available until 19 February 2019.